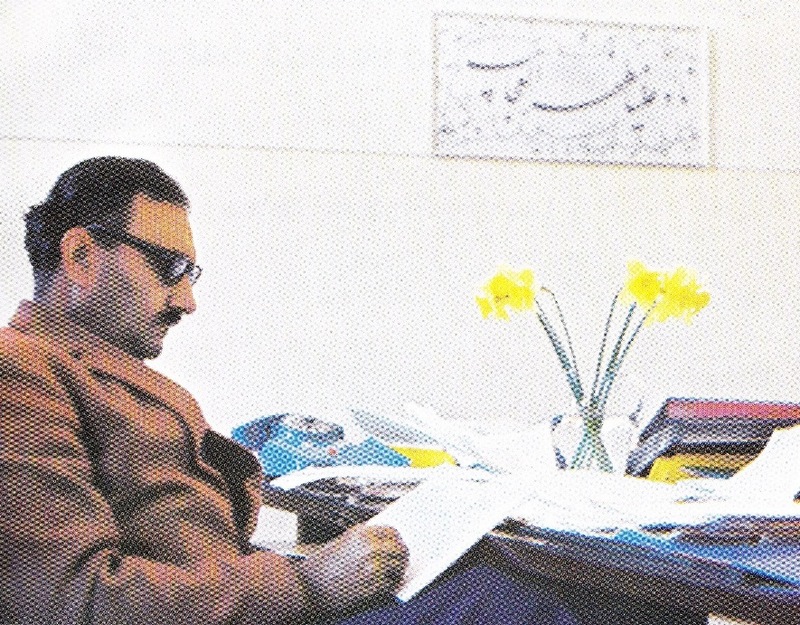 I discovered this image of Abdus Salam recently in a talk by Tom Kibble and am struck by its beauty. The text on the wall is a 16c Persian prayer - a reminder of the power of miracles provided they are initiated with hard work. "The Holy Quran enjoins us to reflect on the verities of Allah's created laws of nature; however, that our generation has been privileged to glimpse a part of His design is a bounty and a grace for which I render thanks with a humble heart." "Thou seest not, in the creation of the All-merciful any imperfection, return thy gaze, seest thou any fissure. Then return thy gaze, again and again. Thy gaze, comes back to thee dazzled, aweary." "This, in effect, is the faith of all physicists; the deeper we seek, the more is our wonder excited, the more is the dazzlement for our gaze."